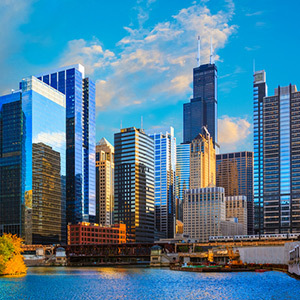 Grab your winter coat and join us in the Windy City for RSNA’s 102nd Scientific Assembly and Annual Meeting, from November 27 through December 2. More than 51,000 total attendees are expected at RSNA 2016, including 26,000 healthcare professionals, representing more than 130 countries. These radiologists, medical specialists, administrators and staff will share experiences, network and explore new ways to collaborate. From discovering unexpected learning opportunities to broadening participation in the larger medical community, this year’s theme encourages radiologists to envision their profession beyond imaging. RSNA 2016 will feature 435 educational courses and more than 1,700 scientific paper presentations in a variety of subspecialties. Refresher courses, scientific sessions, plenary sessions, and education exhibits will address healthcare’s latest technological innovations and techniques, offering a deeper understanding of best practices in patient care. RSNA courses will also qualify for CME credit. 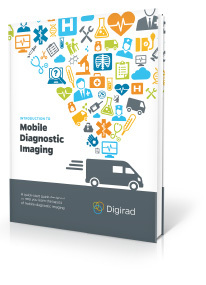 Digirad will be exhibiting the Ergo and X-ACT cameras in collaboration with Dilon Technologies as part of the world’s largest medical equipment exhibitions. The Exhibit Hall will feature products from more than 600 leading manufacturers, suppliers, and developers of medical information and technology. Participants will have the opportunity to meet with manufacturer representatives to discuss their radiology products and services and learn how to use them to streamline operations and enhance patient care. We are thrilled to be pairing with Dilon Technologies, a company that specializes in molecular imaging, to present the Ergo and Cardius® X-ACT Imaging Systems and discuss its convenient, patient-centric, compact, and solid-state capabilities. We welcome you to visit Booth #6132 to experience the latest technology available in imaging for general nuclear medicine, women’s health, pediatrics, and critical-care patients.